Update: (11/16/16) At the time of this review we did not have sufficient information to comment on HDR related issues. We have just posted an HDR Compatibility Survey which includes data on all Epson 4K-enabled projectors. The Epson Pro Cinema 6040UB is an all new 4K-enhanced home theater projector that replaces the earlier Pro Cinema 6030UB. Though there is only one digit difference in model numbers between the 6040UB and its predecessor, the 6040UB is a completely different projector, new from the ground up. Physically it is larger and six pounds heavier. It features a new light engine design, a new all-glass zoom lens, updated video processing capabilities, and of course its flagship feature -- 4K enhanced resolution achieved through pixel shift technology. The Pro Cinema 6040UB and 4040 are sold by CEDIA dealers, custom installers and specialty home theater retailers. The Home Cinema 5040UB and 5040UBe are sold in open distribution and are available through Internet resellers. The Pro 6040UB and 4040 models come with a ceiling mount, an extra replacement lamp, a cable cover, and a third year of warranty included in the price. The Home Cinema 5040UB and 5040UBe come with a two year warranty; replacement lamps, ceiling mounts and cable covers are not included. The Pro models are black, the Home models are white. There is a performance difference between the 6040UB and 4040. The 6040UB is rated at 2500 ANSI lumens while the 4040 is 2300 lumens, and the contrast rating on the 6040UB is 1,000,000:1 vs 160,000:1 for the 4040. There is no performance difference between the 6040UB and the 5040UB. I wonder if this projector has readiness for coping with new HDR streamed contents, HDR10 as well as Dolby Vision. Hi, How do 4K and this projector cope with 720 and standard def input? Do they do a better or worse job of scaling than a 1080 projector like the Sony hw65es? At the other end of the spectrum, my broadband is just about fast enough for 4K Netflix and Amazon streaming but I wonder how much apparent benefit that large bandwidth gives when watching an 8 foot screen from 10 feet, when comparing a 1080 stream on an hw65es vs the 4K stream on this epson projector? Is it really worth it? Or is the quality difference only noticeable with an hdr uhd bluray? 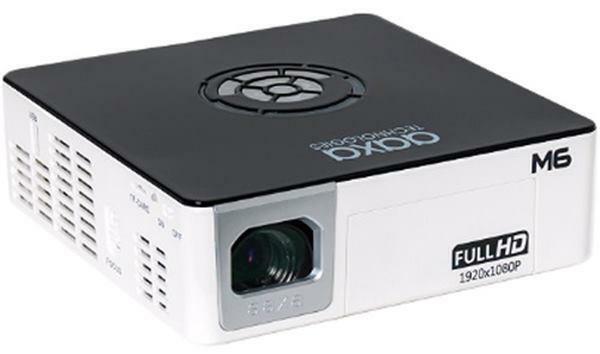 Can a 4k chip based projector display 3d or is 3d limited rto 1080p projectors? Thanks for the info Evan! Quick question: Is the layout for the screws for ceiling mounting it the same as the 6030UB? I assume from reading your impressions of the 6040UB, it is a lamp based system. Is that correct?? What is the lamp life of this set up according to Epson?? I have owned Optima, Panasonic, Sony projectors and all lamps last well beyond the rated 2000, 3000 or 4000hrs (although at reduced brightness < 50%)and are still watchable, but not my Epson 8350. Lamp life was rated at 4000hrs to 50% reduction in brightness. All 3 lamps died between 3000-3400hrs. Assuming a linear regression (that is being kind) that puts the 50% reduction in light output at around 1600hrs well short of Epson's claimed 4000hrs. I now have a $1000 paperweight. Are there any claimed improvements to the Epson lamp?? I see in most of the coverage of this projector that Epson claims DCI P3 color accuracy. My question is can the projector receive DCI P3 from UHD BD and streaming services? It is my understanding that for this to happen, the projector needs to be able to recognize and decode REC.2020 since this will allow the DCI color to be transmitted to the projector. Does this projector include a REC.2020 decoder? I assume it doesn't since there is no mention of it in the specs but I am hopeful it can decode REC.2020 but is omitted since the projector cannot render the space so they don't want to confuse the customer. How about the input lag? Many of you have written to ask about input lag. Our input lag measurements on this sample were very low. Moreover, they were almost identical in both Fine and Fast modes, which is highly unusual. So we are not publishing input lag data until we are able to test it on a production unit and, if necessary, get clarification from Epson engineering regarding expectations in the relative performance of Fine and Fast modes. My comment is actually a question: does it handle 120fps pc gaming at 1080p? This is the million dollar answer in my opinion, since lots of potential buyers are expecting this as a result of the new hdmi standard coupled with the new generation of pc gpus. Thanks! hello, i'm worry about the throw distance brightness lost, my screen from the projection need to be almost 23 feet distance, i wonder how much will a sacrifice with this distance in terms of image quality and enjoyment of the device, i have controlled light environment, no issue on that, and im looking to project to a 120" screen, any special advice for the screen type? many thanks. I enjoyed reading your comments and look forward to your final review after receiving the production unit. I am using the 5030UB and was considering upgrading to this newer 4K model. Considering the obvious improvement with the enhanced 4K will I notice any differences in brightness and contrast? Will there be any difference in 3D with this unit compared to mine? Looking forward to your reply. I absolutely enjoyed your review a lot! I can't really find any other publications on the Internet, which are so detail and precisely published. It's a great pleasure to read your reviews. Can't wait for the full one when you get your hands on that projector. Awesome job!!! In the article they state that the projector loses 33% of it's brightness when mounted at it's maximum throw distance of 25feet. So if you mount the projector 23 feet from the screen you will be losing some brightness. Probably around 28% (if the loss of brightness is a linear function of distance but I have no idea). I'll try to make this short...HDR is not for projectors ,it is barely viable for TV sets and even then... Its a shame really as if the industry gave us 4K + WCG + 10 bit and leave out the (ultra high) brightness needed it would work for projector owners as well and i for one would be a very happy person. Last week i saw the +35K 4K laser JVC projekting on a 3 meter wide scope screen ,it needed a 2.0 gain screen to get 80% of the brightness req HDR!!! fact=a very good and very expensive projector will give you 1/10 of the brightness of what a very good TV manages right now! We need a way to filter out the brightness part of HDR otherwise home cinema projector owners (including myself) are in trouble for big screen viewing! Does any one have any experience with the wireless option from Epson-- from previous generations or the new 4 k enhanced. I am very concerned about running a 40 ' 18 GBS HDMI cable with none really certified--? Has anyone confirmed those lumen numbers with a production unit? They seem too good to be true! I have had the Epson EH-TW9000W running wireless now for 3 years and have never had any problems. With any of its settings 3D included. I cannot see any difference between wired or wireless with no loss of picture quality. they rate the lamp life at 3500 hours of normal use. I currently own the Epson 5030ub and was wondering if anyone has compared the new 5040 side by side with the 5030 and if it is really worth the upgrade to sell the 5030 and purchase the 5040? I am also hopeful that the input lag for gaming is better as the 5030 has to be on fast but the image is very noticeably degraded. Is this the case for the 5040 also? I would barely call this projector HDR capable. This is really the only configuration that seems viable to me, the input has to be 24p with 4:2:2 sub-sampling to get 10 bit color and HDR which to me seems to go hand in hand. The reason is the slower HDMI interface on this projector, it doesn't support the newer 18gbps spec but only the older 10gbps spec. There is some good info on this over at avsforum.com where they talk about what devices can actually send a HDR signal to this projector, its few and far between in reality. Epson took the cheap route unfortunately and unknowing consumers will be left with a projector that really mark on HDR imo. But as a "4K shift" projector it seems really nice from that perspective. Hi guys, is there a problem with the PJ Calculator?, under the same conditions and screen size, it reports the 2400lumens 6030UB as getting 16fL while the slightly brighter 2500lumens 6040UB gets 33fL at the screen?! that can´t be right, is it?. Thank you in advance. Saul, no there is nothing wrong with the calculator. The Epson 5040 and 6040 both measured substantially brighter than the 6030, and the measured results have been added to the calculator. You cannot go by official lumen ratings -- they are often meaningless. Read the reviews for the actual lumen performance. I have installed a good number of the 6030, LS10000 and previous Epson projectors. Some with Anamorphic lens'. I have written to Epson requesting they produce a projector with an anamorphic lens built in. It is time they combine the LED Light engine, with the best HDR newest newer 18gbps spec., with an anamorphic lens. For accommodating the 16x9 image, optimizing the "Squeeze" horizontal digital compression function is acceptable and likely the only affordable way to go. Since these projectors are bought and installed to provide optimised Cinemascope experience, the projector (or a least an option for it) should be designed for that purpose. I look forward to seeing native display chips that are 2:40 aspect ratio with no need for anamorphic lens. rodrigo ventura r - interested to hear what you decided on re projector - I have an almost identical situation - projecting from 25 foot onto a 125inch screen and trying to work out if it is bright enough - any advice you can provide from your experience would be helpful.